Not afraid to get your ‘scare’ on this Halloween? Don’t know where to go? – Have I got a scoop for you!!! Well, it’s actually not all that scary really, and in fact the event is being completely geared up as ‘family friendly’. That is, we’re catering to the young and old alike. 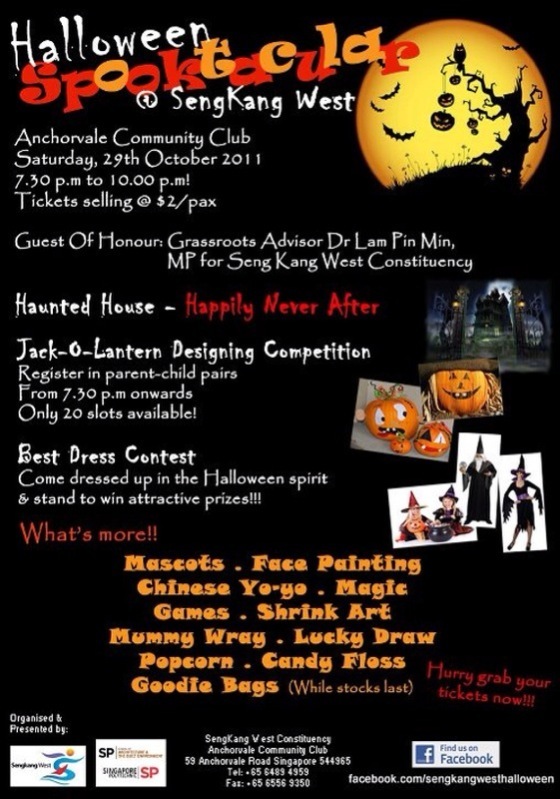 There’s going to be heaps of family fun and bonding activities for all ages at the Sengkang West ‘Halloween Spooktacular’ at the Anchorvale Community Club this October. 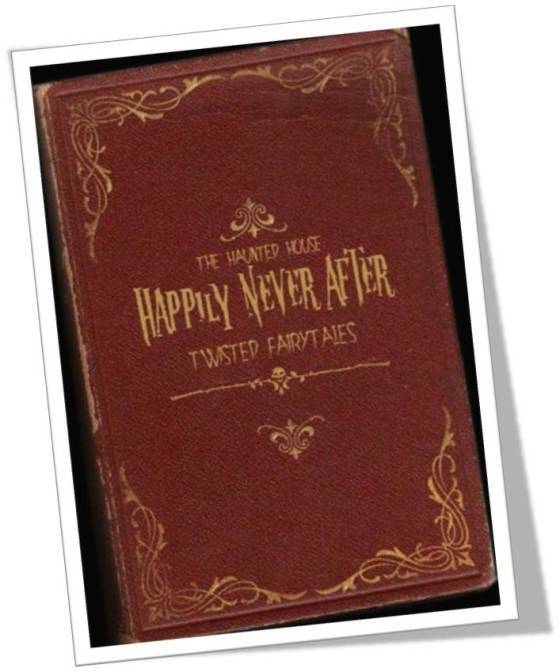 In what we believe will be the first ever ‘Heartlands Halloween Haunted House’, you’ll be able to see all of your favourite fairytale characters like you’ve never seen them before, in the ‘Happy Never After’ twisted tales in the multi-purpose hall. If this isn’t your cup of tea or you would rather keep the kids away from anything bordering on a little frightening, there will be a huge number of activities happening in the plaza area. From the best dressed competition, the Jack-O-Lantern designing competition, to any of the on-stage performances and off-stage fringe events and games, this is the event of the year that can absolutely not be missed. Goodie bags, mummy-wrapping, face-painting, shrink art, cheer-leading performances… just to name a few. Take a trip to the heartlands and see why residents and families are proud to call Sengkang West ‘our home’.